I have photos of my mother, keepsakes from her mantle, memories, of course. But what I enjoy most are a handful of her cookbooks. We have hundreds of books on cooking stuffed onto shelves. I keep planning a cull, maybe a basic 100. That would make sense, but that will never happen because the books I use least are ones that can have the greatest singularity—there is something special about them. My mother’s half-dozen are part of what makes my collection so personal. 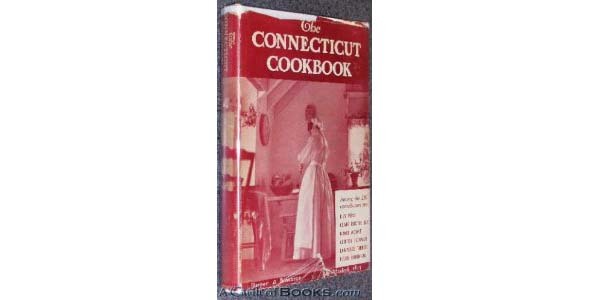 There is the The Connecticut Cookbook—“being a collection of recipes from Connecticut kitchens equally adapted for wartime and peacetime compiled by the woman’s club of Westport and illustrated by Connecticut artists.” So much of her life is right there—raised in Connecticut, born at the end of the First World War and in her 20s during the Second, part of a coterie of young women who managed affairs—home and at work—while the men, her brother for example, fought in WWII. Her mother, my grandmother, running a factory after her husband’s death—this was a time that made strong women. All that comes back before I get past the first page. Then there is Serve it Buffet with the inscription “Happy Birthday Marge, 1945.” So now we are just past the war: she is married, far too young, to a husband older and far too introverted. She has her own home and expects to “entertain,” as was the euphemism. The run-around days of her teens, with that wicked red convertible she often told us about, and which she cracked up against a tree, are over. There is a feint at domesticity before the marriage breaks up. How often did she serve buffets? My mother’s cookbooks are marked by notes and comments (1 lb. lox – 5 people, brisket 275°– 5 hrs.). But there are none in Serve it Buffet. This too tells a story. Now I pull out The Jewish Cookbook. She is in Montreal, and married to my Dad. This book was bought in the late ’40s; the label is from Classic Bookshop. She would have just started our family. There is a typed recipe for potato latkes (with a handwritten note: “serves 6”) taped onto the first page. We ate well. There are gravy splatters and plenty of comments. Mom was putting her talents to use as a cook, an organizer and a party giver. Her lobster was famous and never equaled. Baked, never boiled. For this, she regularly had to instruct Montreal fish merchants to kill the lobster with a sharp blow just behind the head—something a New England woman knew how to do. On top of the pile is The Norton Gallery of Art Recipe Collection—a spiral-bound, self-published book. This is the kind of collection that organizations regularly put out, a fundraiser for the auxiliary committee. We have entered an elite territory. This is “not a basic cookbook,” we are told. “It is a collection of interesting recipes … a museum showcase.” We are now the mid-1980s. Mom is in Florida, having gone to live with her mother after my folks divorced. She will meet a wonderful man and have a happy but short third marriage before he dies. 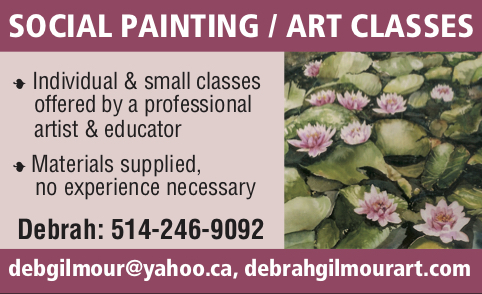 Her involvement in The Norton Gallery marks that period. Her recipe for Cheese Croissant Bake is its legacy. It is in the section called Main Course Masterpieces, which is after a chapter titled Lively Still Lifes which is to some extent how I recall my visits to her then – somewhat tedious for a much younger me, but lively enough for her—with dinners, community events, and that seductively warm Floridian weather. Mom died just after Mother’s Day, six years ago. By then she had been back in Montreal for many years. We held a small wake at her favourite restaurant, where the maître d’ placed a rose over a linen napkin, poured from a bottle of her preferred wine, and rested a cigarette on an ashtray—a testament to a lover of life and good cooking. While Mom has passed away, Dad becomes a centenarian this month. Here is a signature dish. His recipe staple was limited to great sandwiches, a slightly burnt barbecued chicken that anyone can master, and a wonderful curried herring. I have noted it before, and it is worth a repeat. Take one jar of marinated herring, drained but keeping the onions, one pint of sour cream blended with a tablespoon of medium-hot curry. Mix well. And, if you can, let rest refrigerated overnight. Enjoy, as we will, on rye bread, and a shot or three of chilled vodka. 2 Comments on "Flavour Guy: My mother’s cookbooks — archives of her life, and mine"
Sublime. Thank you for writing this beautiful piece. Love your article Barry. What a great synopsis of Marge’s life as it related to cooking.